Vijayalakshmi Devi Puja Vidhi – Mantra – How to Perform Goddess Vijayalakshmi Puja? 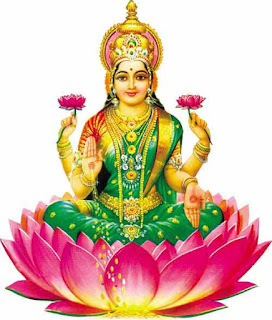 Vijayalakshmi Devi is one among the numerous forms of Goddess Lakshmi. She is worshipped for achieving success in the field of finance (Arth). She also helps in achieving desire fulfillment (Kama). Below is Goddess Vijayalakshmi Devi Puja vidhi or procedure along with mantra. This is a simple guide on how to perform Maa Vijayalakshmi Devi Puja and is ideal for performing it at home. When to Perform Goddess Vijayalakshmi Puja? Chaturdashi Tithi – the fourteenth day of the waning or waxing phase of moon. The day before full moon (purnima) or no moon day (Amavasya). When there is Shathabhisha or Sadayam or Chathayam Nakshatra in a lunar month. The puja becomes doubly auspicious when there is a combination of Shathabhisha or Sadayam or Chathayam on Friday. Shathabhisha and Chaturdasi Tithi together is also auspicious. 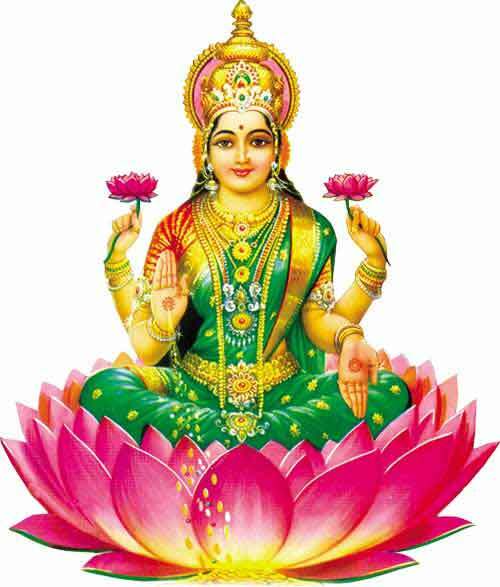 Among the eight forms of Goddess Lakshmi, Maa Vijayalakshmi is the sixth form. She is worshipped for desire fulfillment. She is worshipped to achieve peace and prosperity. There will be no poverty in the house in which Goddess Vijayalakshmi is worshipped. The murti (picture, photo or painting) of Goddess Vijayalakshmi should be placed on the northeast corner of the house on a pink color cloth. The puja should be performed facing northeast. The person performing puja should wear pink color clothes. Take a kalash fill it with water and put a piece of gold and silver in it. Put some coins too in it. Close the kalash with a coconut. Keep this near the picture or sculpture or painting of Vijayalakshmi. The lamp should be lit using pure cow ghee. One wick is preferred. Dhoop should be of chandan. Pink color flowers should be offered. Prepare food using Sabudhana. Kheer of Sabudhana is preferred. It should be later shared with family members and a married woman. The mantra ॐ क्लीं कनकधारायै नमः should be chanted 108 times. The count can be kept on any mala. The water in the kalash should be deposited under a peepal tree. Sound conch or shankh after puja to drive out poverty from the house. Keep 4 Kamal gatta from the puja in the kitchen for prosperity. To achieve success in all fields, offer small sea shells to Goddess Vijayalakshmi and later throw it in a river.